The base international success of digital media platform is already built at the development phase. Urbanization is still in the height of global development: In urban surroundings and built-up areas the population is increasing and structure of cities is compressing. At the same time digitalization is changing thoroughly the way people consume and use services. – Urbanization is a significant phenomenon in many ways. Where there are densely populated areas, there are also restaurants. Eating out is getting more and more popular, the owner of City Digital-media and software house City Dev Lab Ilkka O. Lavas explains. For Lavas following megatrends and progression is a natural part of the job, because the joint effort of his two businesses and his latest venture Eat.fi, is build on the expertise of his companies- digitalization of restaurant services. – There are millions of restaurants around the world, but you can only reserve a table or order food to home from fraction of them. People in Finland and around the world are searching places to eat more an more online, but nobody is assembling a database of them globally. This is what City Digital aims to change with the service they developed and is known in international markets as EatAndTheCity. – EatAndTheCity is kind of Google for restaurants. The idea is to collect the fragmented information to one place so that customers do not have to search it all over the Internet. At the same time, we are creating a site where the customer can do table reservation and pre-order in one view. – Information that is decentralized into different applications and websites date quickly, but the need for people to find a restaurant for family dinner or business lunch is not disappearing. Eat.fi and it’s international version EatAndTheCity are combining together the fragmented information of restaurants. According to Lavas typical usage of the site is, for example, lunchtime when people start to contemplate with colleagues what is going to be the lunch spot of the day. The service brings the restaurant services of the neighbouring area to a map view and offers all the needed information to support the choice. – A customer can check specific restaurants opening hours, the ratings it has received, the lunch menu of the day or reserve table to make sure to fit in. The goal is to concentrate all functions on one service including payment. For clients the service makes more versatile payment options possible when the order can be signed of in advance in an online bank or utilize loyal customer card offers. Instead of a physical card the information is collected to customers profile and the offers are easy to reclaim. On the other hand, the service gives restaurants new opportunities to reach clients. – The great thing about digitalization is that restaurants don’t have to be at the best locations in order to succeed. At the moment one of the most interesting gourmet burger places in Helsinki is Bites Vallila, which is actually quite hard to find but is still always full. For them, it is the home deliveries that brings a lot of traffic. With Eat.fi these kind of places are even easier to find. Sometimes when creating new business model it turns out that the created model becomes much bigger than the one everything started from. For example, City magazine sold initially advertising space for restaurants at a fixed price. The understanding of customers needs and the role of the media in creating restaurant business have developed along the way. – The most important thing is to understand the dynamics of the industry. We need to look at the big picture starting from why somebody is founding a restaurant, what is the driving force and what kind of customers restaurants is trying to reach, explains Lavas. – For example, the need to find customers is still the same as 20 years ago, but to find the solutions in the digital world requires a new way of thinking. Best way to create big business today is to become a platform. City Digital does everything from table booking systems to advertising network and media and program development. 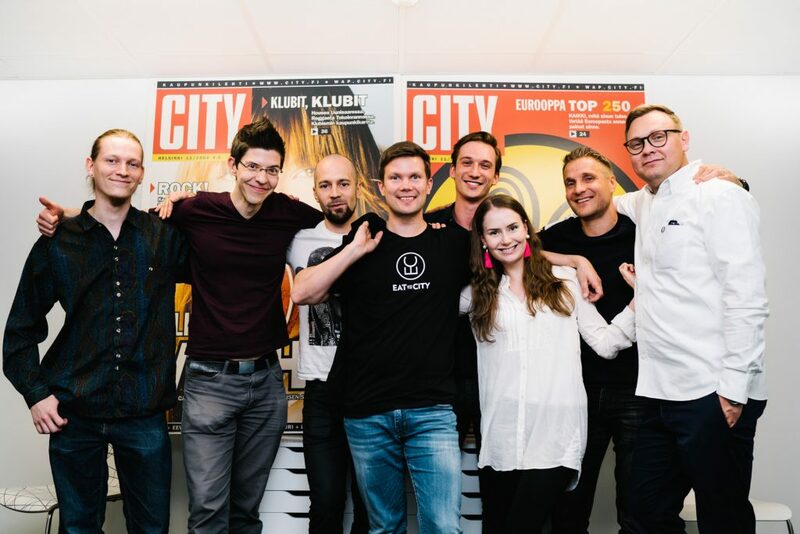 Behind EatAndTheCity is Eat.fi web service originally developed by Tiina Aspiala which City Digital purchased 2015 aiming to develop it into worlds biggest local restaurant database. The jump from traditional advertising sales service to platform provider required a lot of courage but also a partner with whom business idea and productization could be developed with agility. 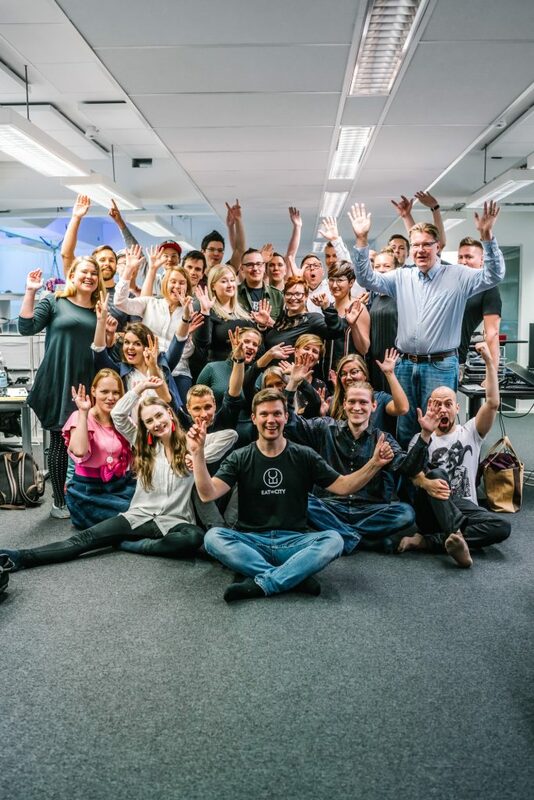 – The development was done in sprints with City Dev Labs piloting with real clients. At best there were as much as 5000 people and restaurants in the open beta platform giving feedback. We were constantly up to date how the users felt about the service and we could compare their comments to the analytics accumulating from the use of the service. How was this situation reached? Ilkka Lavas mentions that the crucial advance of EatAndTheCity is extent of the service, that is based on the channel strategy and strong collaboration with multiple industry operators. For example the information about restaurants comes straight from the databases of Here We Go map service or Michelin Guide owned Bookatable. – This way we have gained huge amounts of interesting data without any phone calls to restaurants. When working internationally, the base data has to be comprehensive. In addition credible journalism and the experience of local experts are combined in EatAndTheCity. Comprehensive database that utilizes robotics and artificial intelligent is also interesting for international distribution partners, emphasis Lavas. In addition to data received from databases, City Dev Lab has executed self service tool for the service that ables restaurants to buy visibility and create, for example, sale campaigns. Table booking and order integration create marketing and customer engagement opportunities for the restaurants when the information of purchases is collected in one place instead of different kind of benefit programs and vouchers. – The interest of restaurants is to rice to the top of search results in order to reach customers so the best visibility and placement is paid by klicks as in Google or Momondo. Because of the pilot, the development team of Eat.fi had good feel of the end user trough out the project. – The work has only begun and we have not been able to connect everything to the service yet, but at the moment there is nobody in the global market providing equivalent database of restaurants and quality restaurant criticism for the readers specifically through media houses. Our business model has been developed from this starting point, Lavas explains. Global growth requires also knowledge of the local culture. EatAndTheCity is designed as a global channel in terms of export. Lavas recommends companies planning to go into international markets to take the global point of view into consideration already in the product development phase because scaling the business internationally demands to find the right distribution channels and diligent sales and marketing strategy. – Our advantage was that we already had concrete proof of our service. Because of the Beta environment, we could introduce new functions and the reception of them to potential clients. Our main distribution channels are media houses so we contacted potential clients with a message that we were the revolution of how people find restaurants. To start the collaboration, we researched our potential clients to find if they had a new point of view to the subject. Sometimes the subject didn’t hit close to the clients’ field of business, but according to Lavas, occasionally even one common nominator is enough. – For those companies, that restaurant sector is only a small part of a business, we offered the chance to grow bigger with the help of the platform and model we created. For the media houses that were operating in the restaurant field but didn’t have a scalable model, we marketed the volume that the service would create-the chance to create more articles with enriched journalistic content with user evaluations and opening hours information. Eventually, the conversation goes back to the knowledge of the dynamics of the industry: According to Lavas the key is to be able to localize the product easily. – I don’t just mean language but it is also important to recognize what customers are looking for and be able to offer them the right tools. For example, when it comes to food trends bavarian food is now hot in Berlin when at the same time people in Helsinki are searching for Neapolitan pizza. Building credibility involves clients in the development process because local knowledge is rarely created alone. We want to create the worlds largest database of local restaurants, so we have acquired the support of media houses, food critics and even YouTubers, who all bring their skills of tailoring content into the restaurant scene. EatAndTheCity is made with passion to help media companies with restaurant discovery tools and quality journalism to empower readers and users to find best food nearby.